Get FREE Shipping on all Wildfire Bead Cord today. 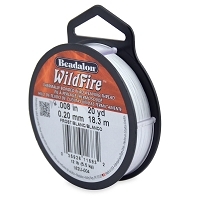 WildFire Beading Cord features the strength and durability of braided cord, but has a smooth, thermally bonded coating to create a superior stringing product. 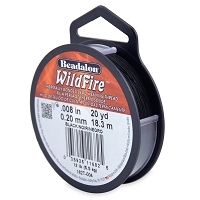 Super strong, waterproof, and zero-stretch, this cord will not fray at the ends, which makes it easy to thread through a needle. 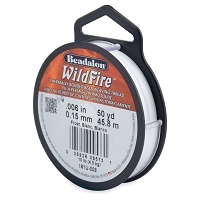 This knottable, supple cord is also great for multi-strand seed bead designs using the Spin-N-Bead.